A risotto isn’t something I often make, largely due to the fact that I’ve always thought it takes forever to make, painstakingly stirring for hours on end. 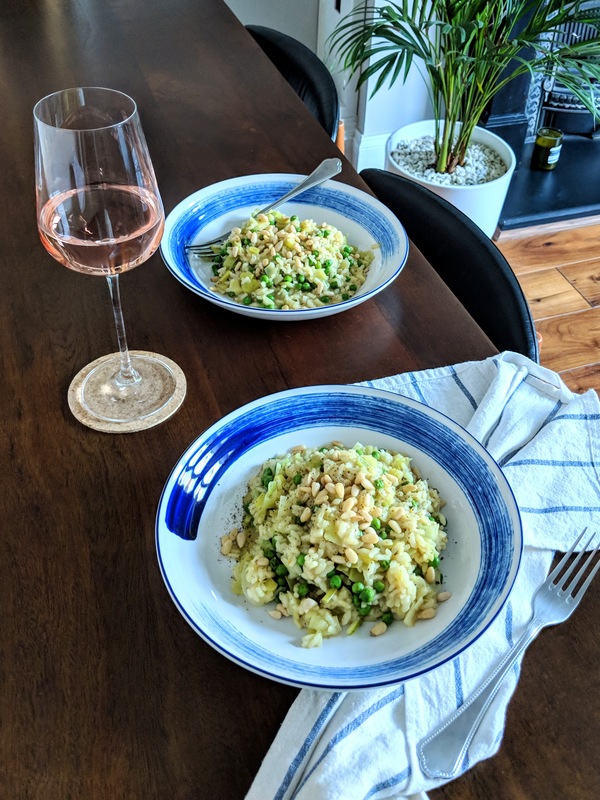 However, I was surprised and thrilled to find this quick and simple leek and pea risotto recipe on HelloFresh. From start to finish, this risotto was made in 30 minutes! You may remember I used to receive HelloFresh boxes. At the time their boxed helped me learn new dishes, explore different ingredients to use, and improve my knowledge of basic techniques that come in handy for a range of meals. I now often use their website to find recipe inspiration and through doing so, continue to learn a lot about cooking. For instance, a risotto is something I would never have made. 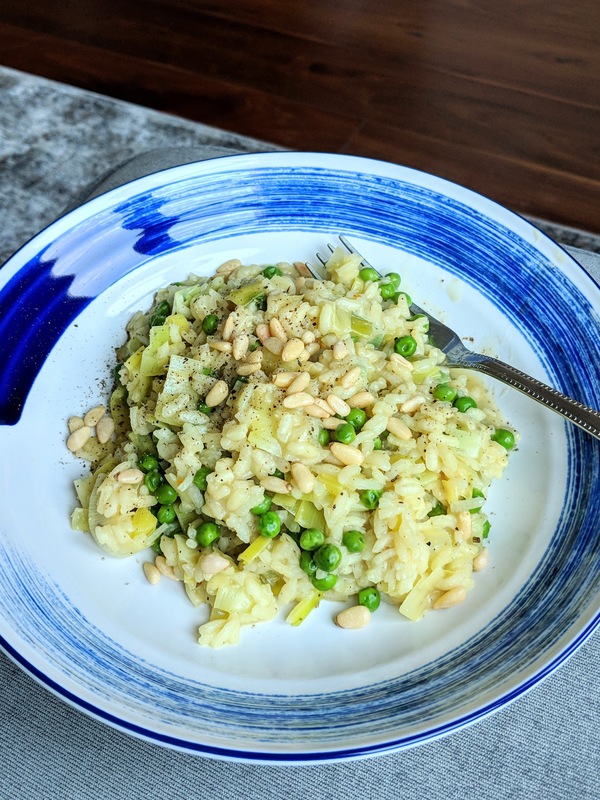 Whereas this simple recipe has enabled me to find a quick and easy technique to creating a rather delicious veggie risotto. Which I can now alter the more I cook it, making it my own. For example, I might add asparagus and parsley next time. Or perhaps mushrooms and sage. I guess risotto is similar to pasta in the sense that you can get experimental with your flavours. What I love about this recipe, is the use of easy to buy ingredients, many of which you may already have in your home – garlic, parmesan, peas, vegetable stock. The diced leeks cook down beautifully in a buttery stock, whilst the rice fluffs up, and the peas add a fresh punch. Seasoned with parmesan and black pepper, the risotto has a velvety, creamy texture. A heart warming and comforting dish, that’s perfect for these autumn evenings. 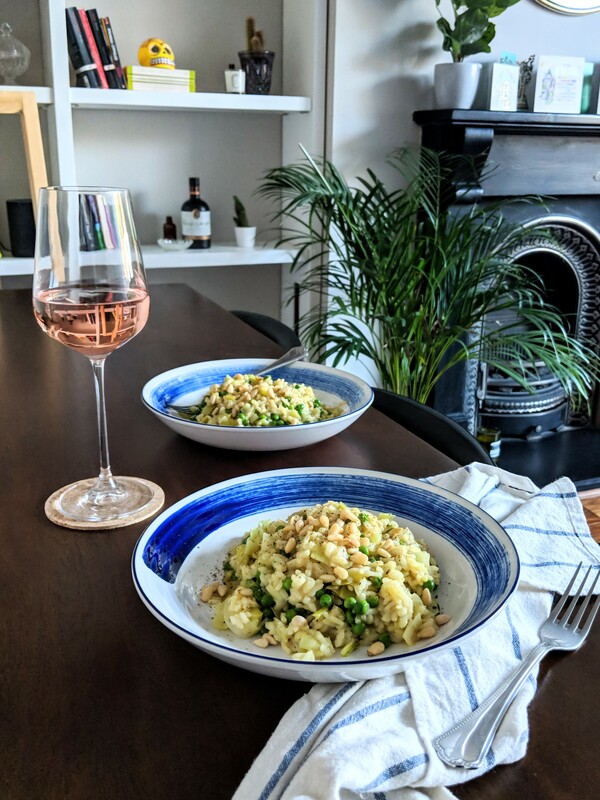 A HelloFresh tip, that I’ve now stolen for myself – Enjoy with a glass of your favourite white wine, and add a little to the risotto! Have you tried the HelloFresh boxes before? 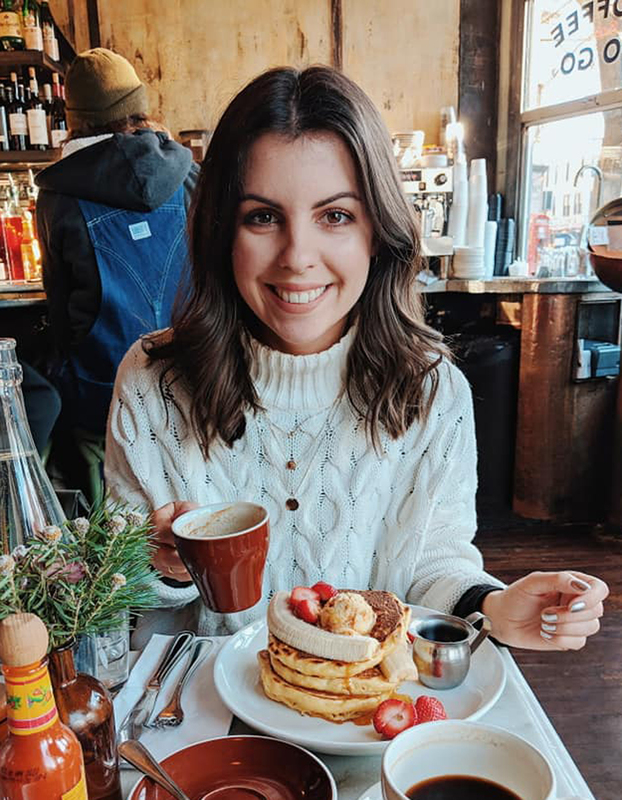 Do you look at HelloFresh for recipe inspiration? I’d love to hear your thoughts.